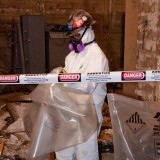 We offer 24 hour emergency services and free estimates for all your needs including asbestos and mold abatement, remediation, removal and testing. We also can provide full service repair, restoration, remodeling, and construction to your residential or commercial property through our sister company North West Restoration, all by calling the number below. Our service areas: Richland, Pasco, Kennewick, Tri-Cities, Yakima, Walla Walla, Othello, Moses Lake, Sunnyside, Grandview and Prosser. Mold Symptoms – Is it Time for Remediation? Richland, Pasco, Kennewick, Tri-Cities, Yakima, Walla Walla, Othello, Moses Lake, Sunnyside, Grandview and Prosser. We Serve Richland, Pasco, Kennewick, Tri-Cities, Yakima, Walla Walla, Othello, Moses Lake, Sunnyside, Grandview and Prosser.